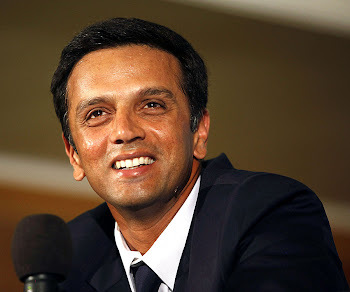 Rahul Dravid: Can BRC make it to semis? Can BRC make it to semis? Undoubtedly, BRC are in do or die situation.They have to win both the games - one against leaders DD and the other against unpredictable DC.With 2 teams already out of the race, 4 teams are fighting for the 2 slots for semis- DC, KP, RR and BRC. DC and KP are left with 1 game in their hand and are tied at 14 points each. RR has 1 game left and are on 13 points. On the other hand BRC have 2 games left and are on 12 points. a)RR and KP win their respective games. This will send KP and BRC into the semis. This makes the way for BRC and RR to the semis. BRC and KP will enter the semis with 16 points each. Even though they lose 1, they can still make it to semis if RR loses the game and KP loses the only match left for them.One more condition that should be satisfied is that the net-run-rate of BRC should be higher than that of DC. Let's hope for the 1st case.Keep the fingers crossed! i think brc will make to semis.rahul is going to perform .people say he is not fit for t20. but i think when in full flow he can be better than even sehwag.i mean he has second fastest fifty in odis from india.just wait watch. ALL THE BEST THE WALL.